The Master in International Event Management provides students with means of developing high-level management skills and knowledge specific to the field of managing events and projects at all levels and in all industries. 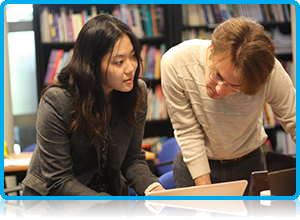 This Master programme (MSc), is offered in partnership with the University of Brighton (UK), and requires an open, critical and inquiring mindset for the social-scientific and applied study of events and management. You will be expected to critically evaluate existing knowledge in the field of event management, debate key issues such as sustainability, ethical event production, or legacy planning, and consider strategic responses to forces impacting on events from the global operating environment. Taught together by Wittenborg University and the University of Brighton! The course structure of the MSc International Event Management programme at Wittenborg is in line with the programme offered at the University of Brighton, and the programme is taught by lecturers both from Wittenborg and from Brighton. Full-time students attend workshops on two days per week with the part-time route usually requiring one day per week. "Adopting a social scientific approach to the analysis of the international event industry, specialist subjects include international event strategy analysis and development, critical issues surrounding risk in modern societies, event project management and international event marketing, sponsorship and fundraising. Conceptual analysis is applied through use of a variety of case studies from mega sport and cultural events to more localised cultural, business or charity events." ‘Events Management’ is a multimillion euro industry and, in the case of large organizations, often forms part of a company’s marketing strategy. It is foreseen that the increased nature of global business will make the demand for events even higher. Though technology shrank the world, face-to-face meetings as a way of networking are still highly valued. In-depth theoretical and practical knowledge as offered by the Master of Science in International Event Management, will make your application for a job stand out. • Leisure: This includes big sport events like the FIFA World Football Cup, festivals like the Glastonbury Music Festival in the UK, or fashion shows in Tokyo or Paris. • Business: Most businesses spend more than 8 % of their budgets on events-based marketing and branding, and from the head of marketing and branding to the most senior PA, Event Management is a constant feature of their business administration field. • Personal: Planning personal events like weddings and anniversaries in a highly organized way and not just ad hoc have become common place. • Organizational: This includes small business events like a breakfast meeting to huge conferences attended by thousands of delegates. Also falling under this category would be fundraisers, NGO and public sector events. • Cultural: This would include celebrations around heritage like the Bastille festivities in France and traditional ceremonies. Policy and planning advisor: Big sport events, festivals or conferences have a big impact on host communities and can mean big business for countries. Based on your expert knowledge in the field, you advise national, provincial or local governments on policy, planning and strategy around these events while adhering to targets. Project manager of international festival or event: In an increasingly globalized world international events like the Olympic Games, conferences and festivals draw thousands of attendees. As manager you have final control and responsibility for everything from finance to operations and logistics - overseeing location, marketing, transport and accommodation. Consultant for a service organization: Many organizations in the public and private sector lacks managerial capacity and make use of external consultants in analyzing markets, guiding development or devising strategies to optimize the benefits of an event and ensure a broad database of suppliers and contractors. You can either work as an independent consultant or as part of a big consultancy firm. Entrepreneur: As owner of an events company, your goal is to make every event - whether a small breakfast meeting or an international fashion show - a success. A good reputation is everything in this business, if you want to make your company a success. Having in-depth knowledge of the industry, as provided by a master degree, will give you an edge over your competitors. Lecturer and trainer: With the growth in the service sector comes the need for a skilled workforce. Most higher education facilities today require their teaching staff to have a master degree. Lecturing in the events industry can be a highly fulfilling career. IELTS 6.5 overall, 6.0 in writing.